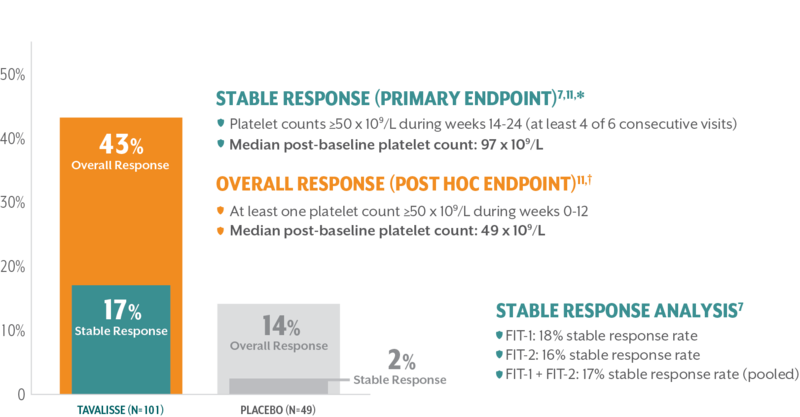 *Stable platelet response: achievement of a platelet count ≥50 x 10⁹/L on ≥4 of the 6 visits during weeks 14-24 without need for rescue treatment. 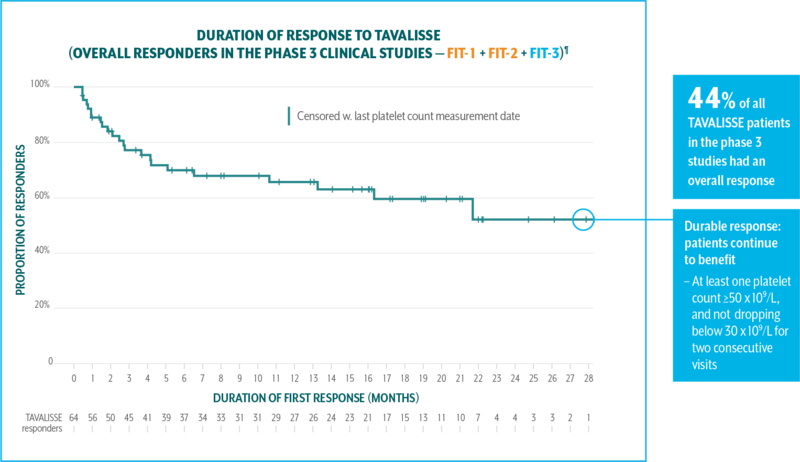 †Overall response: achievement of a platelet count ≥50 x 10⁹/L at least once during the first 3 months/12 weeks without need for rescue treatment. ‡Time to first response was a post hoc analysis. A total of 61 of 123 patients discontinued from the open-label extension study early. 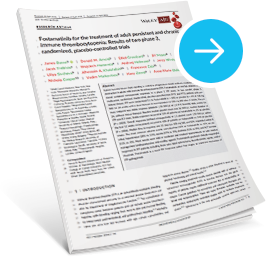 ¶Duration of response analysis endpoint: the number of days from achieving a platelet count ≥50 x 109/L to reaching a platelet count <30 x 109/L at two consecutive visits. 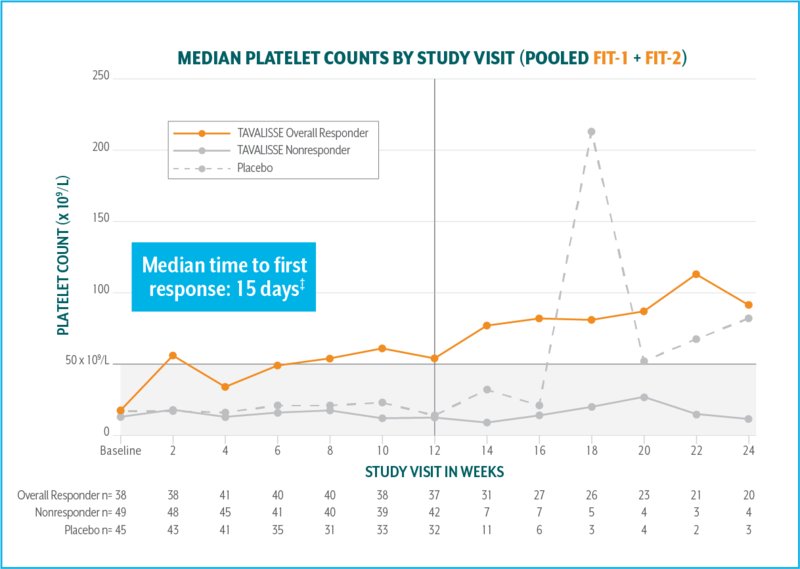 Patients were classified as losing response if platelet counts dropped below 30 x 109/L for two consecutive visits 28 days apart, or if rescue medication was used. Patients who discontinued prior to meeting the criteria for loss of response were censored on the last platelet count measurement date.